Torti i Kolaci-Sweet and savory kitchen. : Bombici so suve smokve.//Bomblets with dry figs. Bombici so suve smokve.//Bomblets with dry figs. Se zovriva mleko so secer i margarin, potoa se trga nastrana, i se dodavat meleni biskviti i se mesa ubavo, se dodavat i seckani suvi smokve orevite i vanilin shecer.Se ladi masata i so race se formiraat topki ili drugi forme po zelba.Se ostavat da se stegnat i se polivaat so topeno crno cokolado so 6 lazici mleko i 3 lazici maslo. 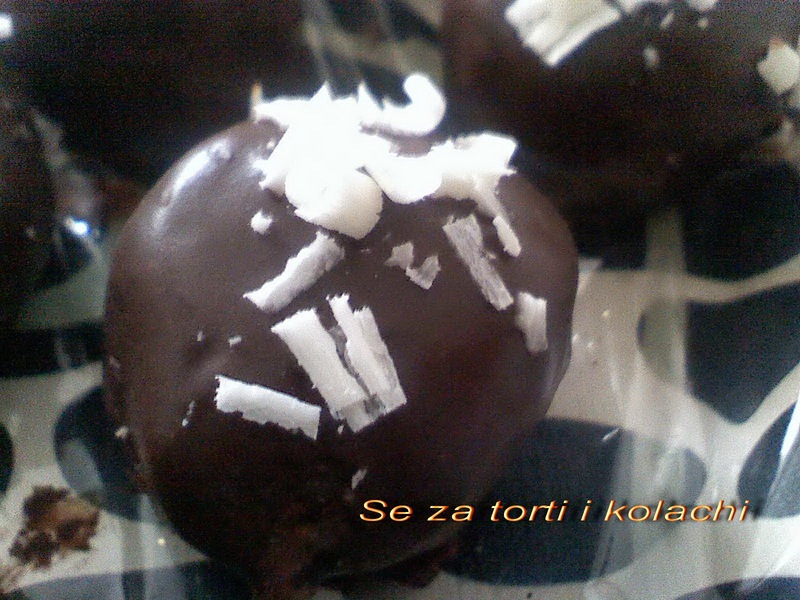 I na kraj se dekorirat so rendana bela cokolada. Boil milk with sugar and margarine, remove the sides, and add ground biscuits. 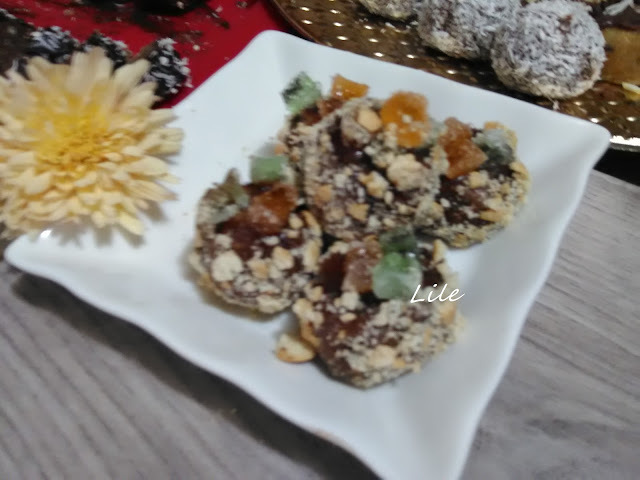 Mix the ingredients added to chopped figs, walnuts, and vanilla sugar.Cool mixture of a cake, and the hands of small balls or other forms.Leave not constrict in the refrigerator, and to pour molten dark chocolate with 6 tablespoons of milk 3 tbsp oil. Decorate the cake with grated white chocolate.